Gordon Rumford Ministries » Revenge or Forgiveness? I recall the time when I met with a friend of mine. This person had been dreadfully abused as a child and it was a difficult road to freedom for my friend. Many counselling sessions had occurred to help relieve the person’s tormented mind. Then this individual heard the Gospel and God opened their heart to respond to Jesus’ invitation to come to Him and receive rest. As the months passed after the initial encounter with the Lord the person grew in understanding about forgiveness. At first, the victim was highly offended that the criminal might be able to receive forgiveness from God. Then, a year or so later it occurred to the victim that sending a Bible to the perpetrator in jail would be a good idea. 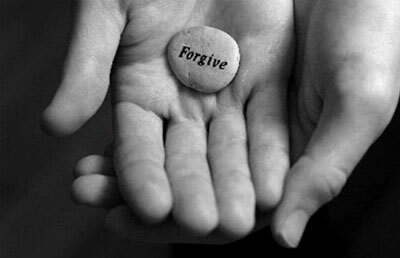 In spite of the terrible nature of the crimes committed, the victim now desired the man to discover God’s forgiveness. It was an amazing time for me to sit in that coffee shop and hear the genuine compassion and concern expressed by the victim for the convict. I recalled how much this same victim had previously hated the man for his evil deeds. I knew that I was witnessing a miracle of love and forgiveness where disgust and rejection had previously reigned. Revenge had been replaced by forgiveness. In our verse for today there is another idea about the latter end of evil people. For those who refuse to repent and seek forgiveness through Jesus there waits a day of reckoning that should be feared by all. The individual who had hurt my friend so severely will face his Creator in judgement if he does not seek forgiveness. I could never persuade my friend to go from seeking revenge to seeking forgiveness for the person who had done so much harm. I waited for the Lord to shift the person’s heart from hate to love. He urges us to come to Him and find the healing and comfort we need. If we submit to Jesus He will finally bring us to show compassion to our enemies and we shall pray for good to come to the ones who have hurt us. Will you come and find the strength and hope that was lost through the evil of the past? Jesus never turns away any who come to Him. Thanks for the daily devotionals. I read the one referring to me and I appreciate it very much. I hope some people learn something from it. It’s not easy to forgive but we all know that’s what Jesus wants us to do. He not only changes our heart so we can forgive but he gives us the strength that we need to accomplish it. Sometimes it’s not easy. Bless you Gordon and thank you for every devotional that you write.